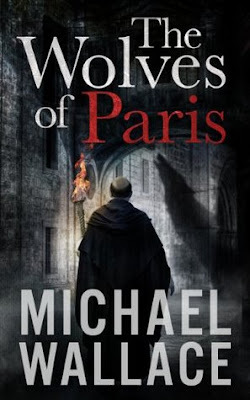 In winter 1450, two Florentine brothers travel to Paris to find out what happened to the factor supervising their estate. They discover a panic about werewolves, and that the woman they both had loved, Lady Lucrezia d'Lisle, is at the center of it. The werewolves are following her through the countryside, and the church is suspicious of the supernatural activity. Both brothers, uneasy with each other for a number of other reasons, agree to work together to prevent the Dominican inquisitor of accusing Lucrezia of heresy - a crime punishable by death. This is a fascinating book, and its action is vividly described and fast paced. Even those who wouldn't be well versed in the French countryside of the period and the Inquisition will very quickly be drawn into it. There are enough descriptions to paint the picture of the estates, the chases, the wolves and all that is involved in the Inquisition. Magic is very real here, just as the monks and peasants had said, and it is putting all of Paris and its environs at risk. The biggest draw of the book is the characterization. They're all so very human, with their jealousies and poor choices, the ties that bind each other together. You can't help but root for Lucrezia and Lorenzo and feel that the overwrought inquisitor had more of a personal axe to grind. I lost track of time while reading this book, so absorbed in its story and invested in what would happen next. The book comes to a solid conclusion which is satisfying for all of the characters involved.